A to Z has worked over the years with more than 100 Oregon vineyards, noting different profiles within each region, soil type, elevation, aspect or individual vineyard sites resulting in different fruit, tannin or acidity profiles. 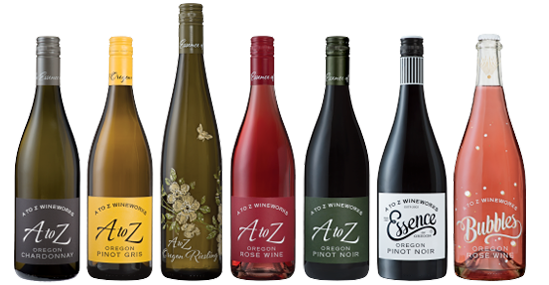 In making the 2016 A to Z Essence Pinot Noir blend, a number of vineyards were selected to offer a more structured, darker profile. The fruit was fermented by individual vineyard lots and then the majority of the wine was aged in traditional 55 gallon French-oak Burgundy-shaped barrels for nine months. OREGONICALLY GROWN®.